The following is an overview of how the church is thinking today, and should be thinking. Its not thinking correctly and its due from the influences of past liberal movements throughout history. Modern theology is generally understood to have its origins in the scientific, industrial and technological revolutions that began in the late eighteenth century and were well-advanced in the late nineteenth century. In this current overview of modern contemporary theology, it will comprise mainly of theological ideas that appeared since World War I (1914-1918) and more particularly the trends that emerged in the 1960s. Modern theology has not emerged in a vacuum (as much as Paul Tillich would have liked to think). Rather, it has emerged in the context and environment of social change. As a result, more or less even evangelical theology has been affected by the changes in theology overall by modernism and post-modernism. What is the difference between theology and doctrine? Theology comes from two Greek words meaning a word about God (theos and logos). Latin textbooks use the word theologia to refer to knowledge of God and what God reveals to man about Himself and the world in which he lives. Doctrine comes from the Latin word doctrina which means teaching. Usually, students working on an MDiv will gain a little bit of many things in the theological arena, but rarely do they ever receive a systematic rational understanding of God, His attributes, and His nature. Rather, they receive a box with an introduction of Christian “doctrine”, instead of gaining a full compassed theology which is much bigger than that little box. They receive an intellectual, religious box of an assortment of “theological candies” like a Whitman Sampler of chocolates at Christmas time. That is why when they set out in the real world, theological students are profoundly affected as pastors with varying shifts of theological academia that sound good, new, or innovative. They simply do not have the theological and conceptual strata to deal with refuting that which may be contrary to orthodoxy along the way. This is, in fact, the case with many pastors struggling to raise their head above water with the current Justification controversy and the Auburn Avenue heretics. To put it more practically, MDiv students are taught where the Ten Commandments are, but are not taught what the Ten Commandments mean and how they apply to the life of their congregation. In dealing with theology, one must establish the hereditary pedigree of the modern theology that is attempting to raise its ugly head, and then second, there is the task of noting the environment from which it came. For example, the Auburn Avenue “teacher” Doug Wilson, has a poor view of historical theology, and has little orthodox educational training behind him. He teaches corporate justification. Not only has he proposed an error into the church because of his lack of theological understanding, but he has also attempted to overshadow history by attempting to glaze his theology over the historical facts of the Westminster Confession of Faith, which he says he upholds (well, so did many neo-orthodox theologians and liberals through the last 200 years). Understanding, then, where this theology came from (really) and what kind of teacher is teaching it (self-taught) is a help to see the historical context overall as to the emergence of this theological idea. Let us use, for example, the Reformation as a case study for how theology is treated and thought about. The Reformers insisted on the authority of the whole bible over the Tradition (big “T”) of the Roman Church. They say there is one Bible made up of two Testaments. In contrast, the modern seminary teaches that there are two testaments that make up one Bible, with little emphasis on unity. The student will first go to an Old Testament class, and learn about the Old Testament, then move on, in the next year, to the New Testament class to learn about the age of the church. The only way to find out the facts of something is not simply to listen to another persons saying the statement, but to retrace history and find out factually what happened. One must actually do the work of reasoning out the ideas and concepts before they are believed. As a result of the entrance of liberal theology into the church there started a paradigm shift away from seeing God as He is in Himself, to seeing man placed on the throne. Within the church, the slogan “life, not doctrine” is the banner for activity over study, and inner experience over personal reflection. The poster child for this liberal movement could be a New Age guru. Such a guru were men like Schleiermacher, Kant, Hegel, Ritschl, and Harnack, all who influenced the church with theological ideas that centered on relativistic conceptions of self and experience. American liberalism then took on four traits: the importance of the inductive (not deductive) method of inquiry (which is always fallacious since it never has all the facts), the reliance on experience, the unity of truth about God and man (for to study man is to study about God), and the optimistic potential of human power. Evangelicals responded to this infiltration, and men like J. Gresham Machen wrote against them; Machen’s Christianity and Liberalism, which is a scathing critique to the liberal movement, still stands as an exceptional work to this end. The Fundamentals were published in 1910, twelve volumes polemically written against liberalism. After World War I Brunner, Bultmann, Gogarten and Barth appeared to move liberalism into a neo-orthodox framework of heresy. Barth in his massive Church Dogmatics used Christinese to purport liberal doctrine, though he claimed he was moving away from classic liberalism, and introduced massive contradictions in denying Christian orthodoxy, but claiming he was moving Christianity to greater theological depths by combing theology and practice for the new culture in which was emerging. Barth has appeared to have had a high view of the Bible, but ultimately he was undermining it. Reinhold Neibhur followed suit and continued to influence American theology with neo-orthodoxy. Regrettably, Lutheran, Reformed/Presbyterian and Anglican churches pay little attention to their historical confessions. Instead, they have gladly been deeply affected by liberalism because liberalism waters down theology and moves it in to the realm of the experiential. Why is this so? The development of human knowledge, now, in contrast to the Reformation, is simply not the same. The cultural milieu in which we live today is a far intellectual cry from the time of the Reformation and Confessionalism. Modern theology has a smorgasbord of theological and philosophical mounds to sift through in order to come away with what is truly orthodox. There is such a mountain of theological verbiage that most people never have the time to go back far enough in history to find out why people believe what they believe in today’s era. Certainly they are appealing to choice. They have the choice to do the homework, but modern theology sounds so appealing, and man’s sinfulness is so overwhelmingly affected by the fall, that people would much rather sit in the pig sty than find out the world is much larger than the mud they are sitting in. Clear convictions of theology are then deemed “undesirable.” Religious preference then overshadows religious conviction. This in turn gave way to what is called Protestant Individualism. Individualism in this light follows Alexander de Tocqueville’s Democracy in America as egoism. This is a passionate and exaggerated love of the self that leads a man to think of all things in terms of himself and prefer himself to all others. This is the classic statement of the theology of the modern church. Once the individual had become the center of the emerging theology, then each individual person was pressed to think about how they are their own unique person before God – a god that they had fabricated. This Enlightenment concept (overflowing with the theology behind Romanticism) is bent on the imagination and the inner feelings, emotions and sentiments of personality. In America, it spawned Pietism and Methodism through revivalism, which has a major impact on the “self.” Doctrine then became what you wanted it to become. This is the theology of the modern church. Since theology turned in on the “self” all kinds of other theologies emerged sideways. The Theology of Hope, spurned by liberals such as Jurgen Moltmann, emphasize the Hope of the Future instead of the reality of the here and now. The future is the only place that one can have hope, and thus, their theology becomes eschatological. 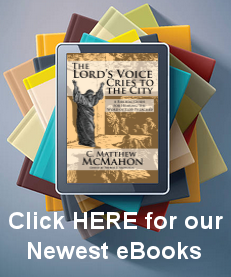 One cannot know what God will do now, but one can know what He will do eschatologically. This pressed theologians to take into account how they would deal with human suffering in the here and now, and Liberation Theology was born. Third world countries often fall victim to this because it takes New Testament language, twists it to fit the oppressed person, and says Jesus has come to rescue you out of your social oppression. During the 1960s the shift from religious authority to cultural authority was complete. Whatever seemed alien to the modern mind had to go, and certainly people were not going to be told what to do as sinners. There was a deep desire not to be out of touch but to be in touch with the moving of modern culture. There was also the enthusiastic embrace of secular culture. Fallen men are birds of a feather that flock together. It was also said that the old theology had gone bad – that it was dead, and so a new theology had to replace the old. The church as an institution was irrelevant, then, and external authorities were discredited or lost. Thus, “self” became master. Such theologies that fed this movement were the Honest to God concepts, the God is Dead concepts, the theology of Rudolph Bultmann and the demythologization of the Gospel, Paul Tillich’s appeal to wed theology and culture through philosophy, and Bonhoeffer’s thoughts of the “world come of age”. Process Theology then began to take hold, which taught that God is in a state of flux and that He was not immutable, but immanent and changeable by the rising tide of culture. Alfred North Whitehead and Pierre Teilhard de Chardin lead this group of intellectuals. In modern times there are as many opinions about God as there are people to give those opinions. It is not like the movement during the time of the Reformation, or of 17th century Confessionalism. Bearing this in mind, it is a task to make sense of theology today. In doing so, there is a method that may be employed, though many methods have raised their heads. First, there is the traditional way of doing theology that emphasize cognitive aspects of religion and stresses the ways in which church doctrines function as informative propositions or truth claims about objective realities. Second, there is the manner based on experimental-expressive theology of the nineteenth century. Third, there is a hybrid of the first two. This can be categorized more specifically by using typology. Typology refers to those persons, events and things that point to Christ out of the Old Testament into the New Testament – they were prefigures of Christ. David is a type of Christ seen in the Old Testament as King. Jesus Christ fulfills that type completely. The typology spoken about in comparing theological methods is the dilemma on how to relate faith to culture. Various attempts at categorizing this typology have been given. Donald Bloesch in his Theology of Word, says there are four types, 1) a theology of restoration, 2) a theology of accommodation, 3) a theology of correlation, and 4) a theology of confrontation. This distinguishes the historical shifts through the centuries to the present age. Peter Berger uses a different approach. He says there is the 1) deduction option (religious tradition of Confessionalism), 2) the reductive option, which is the left hand pole that takes theology and tries to meld and mold it to culture, and 3) the inductive method, that bodies of evidence concerning religious experience and the insights deriving from experience should be taken into consideration. Peter Toon expands this to use five approaches: 1) Totally reductive (Critical of the Christian tradition but uncritical of the contemporary situation), 2) Generally reductive (relatively critical of the Christian tradition but uncritical of the contemporary situation), 3) Basically inductive (relatively critical of both the Christian tradition and the contemporary situation), 4) Generally deductive (relatively critical of the contemporary situation but uncritical of the Christian tradition), and 5) Totally deductive (critical of the contemporary situation but uncritical of the Christian tradition). Toon then gives the five maxims that describe the context in which to place modern theology. 1) Theology only as a philosophical discipline within the university, 2) On the basis of foundational philosophical scheme, the merging theology as a philosophical discipline with theology as Christian self-description, 3) Without any super-theory or comprehensive structure for union, the merging theology as a philosophical discipline and as Christian self-description, 4) The practical discipline of Christian self-description governs and limits the general applicability of general Christian theology, and 5) Christian theology is exclusively a matter of self description. So what can be said about contemporary Evangelical Theology in light of modern liberalism? The bottom line is not hard to see, but is quite disturbing. 1) American evangelicals have tended to be blind to the effects and dangers of modernity because their own identity is actually tied to modernity. This is a problem stemming from the Second Great Awakening and the decline in new England theology after Jonathan Edwards. Revivalism was a huge problem for Christian theology in that it offered a theology that was tied to “self” rather than God. 2) Evangelicals have also been blinded to modernity because they think that the challenge to the church today is not about ideas, but about action in evangelicals. However, one cannot “do” evangelism without proper orthodoxy. What message will be taken? 3) Evangelicals have taken modernity to embrace marketability for the church. Seeker sensitive movements, and capitalistic churches are such as the Willow Creek movement are detrimental to theology, and are overrun with modernity. Presbyterian churches that once held to Confessionalism, for example, have now entered into the seeker movement and use Confessionalism simply as tie to the past without having that theology of their Confession affect the present. Such churches need to take a confessional stand on making the sanctuary the center of worship to God, rather than honoring schoolteachers, having mission flag marches, giving awards, recognizing various groups for their work in the church, having solos or choirs with impressive abilities, all which tend toward the modernistic ideas of pleasing self, rather than honoring the Regulative Principle of Worship. What can be done? Instead of giving over to modernity, contemporary theology must return to the theology of the Reformation and of Puritanism. The Gospel, as it stood all through church history, and was recovered valiantly by The Reformation, then contexturalized faithfully by Post-Reformation Dogmatics, should be recaptured and used to arrest the modern culture. God must be0 seen again as the transcendent God of the universe, the One who is Father, Son and Holy Spirit, who is watching the acts of the wicked and the good from His throne in heaven. Theology must be totally faithful to the person and work of Jesus Christ, God as immanent. Auburn theology is affecting this because of its modernistic trends. Jesus Christ is the incarnate Word of God, who, by His faithful life and death, imputes to sinners the active and passive righteousness he gained before God as upholding the Covenant of Works. This is the basic understanding of Christian theology and salvation (i.e. justification by faith alone rest on these truths). The Gospel must be recaptured from modernity if the church desires to gain back the authority that she has lost to post-modern ideas. Finally, there should be a renewed commitment to Confessionalism,, that stand upon the traditions of the church, as well as a renewed emphasis on personal piety and devotion based on those faithful truths. Without cultivating a true spirituality and piety that flows from genuinely corporate worship, the church will continue to enact a downward trend in raising up pastors who have poor intellectual/theological tools, and a theology which caters to developments in the culture rather than in glorifying God as prescribed in His Word.